Following the industrial revolution many workers migrated towards the newly industrialised cities, and what was then the rural suburb of Brixton. This led to overcrowding in some parish churches, encouraging some inhabitants to worship in non-conformist churches such as the Quakers and Methodists. The Government, in an effort to reduce the likelihood of British repetition of the French Revolution considered that widespread attendance at an Anglican Church was the best way to reduce dissent among the populace. The Church Building Act of 1818 allowed for the building of churches in parishes where a quarter of the population could not all fit into the local church at once. £1m (about £50m in today’s money) was provided. 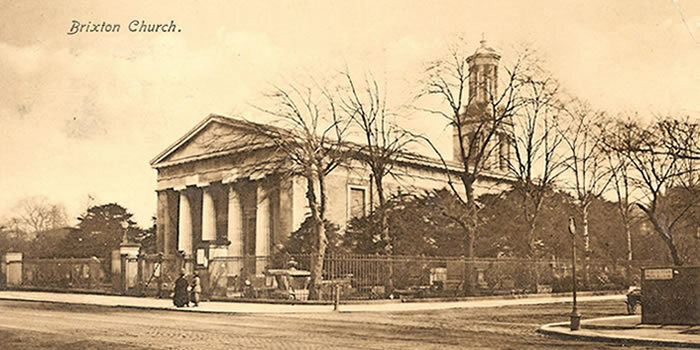 The Rush Common Act had allowed for the building of St Matthew’s Road and Effra Road, and left a triangle of land suitable for a church, but it had banned building on the land, so another Act, known as the 1821 Rush Common Amendment Act was passed to allow for the Building of St Matthew’s Church. Excavations were made before Christmas 1821, but the foundation stone was laid by Dr Charles Manners-Sutton, Archbishop of Canterbury, on 1st July 1822. 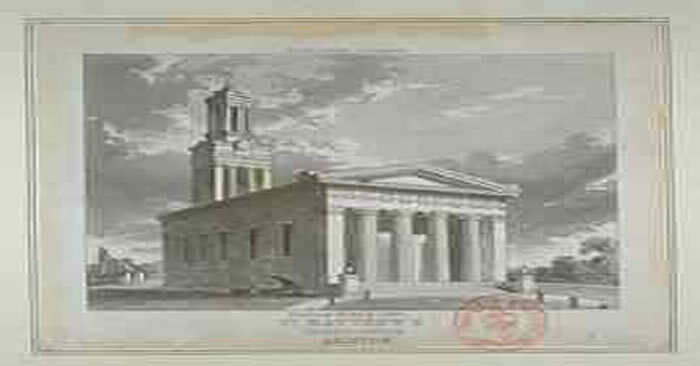 On 21 June 1824 the building was consecrated. The consecration was solemnised by the Bishop of Winchester, Dr George Tomline. The building contract had been for £15,192 but the final cost was £16,089. The commissioners paid £7,917 with parishioners making up the remainder. There was seating in the new building for 904 in the pews, which were paid for, and 1022 in the free seats allowing a total seating capacity for 1926. 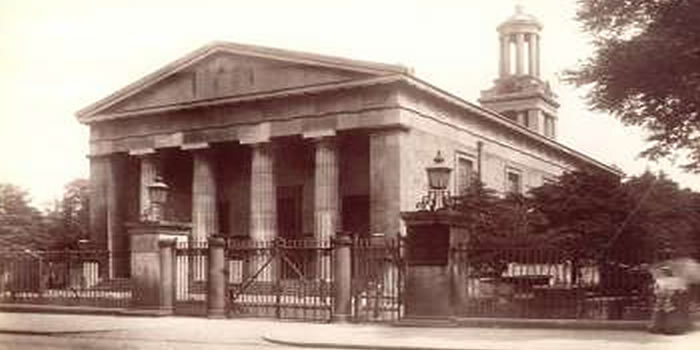 The building is in Greek Doric style which was becoming increasingly popular at the time for trustworthy public buildings such as banks and courthouses. The tower is on the eastern side of the church, giving added interest but more importantly reducing the likelihood of the building sinking into what was then marshland, surrounded by osier beds. The church built and funded two schools on St Matthew’s Road. One for boys and one for girls. These schools became state aided after 1920, and remained until after the Second World War. The Rev Dr John Vaughan succeeded the Rev Dr Edwin Progers to become the second vicar of St Matthew’s. Gas lighting was introduced into the church to replace the oil and paraffin lights. The graveyard surrounding the church was closed to new burials. It was thought that burying people in the middle of a populated area might have been one of the causes of the cholera epidemic. Following 1853, the South London metropolitan cemetery in West Norwood was used by the parish. It is now known as West Norwood Cemetry. The Rev Dr John Vaughan – who, although loved by his congregation, was despised by members of the community who burnt effigies of him outside his home – was found not guilty at the Old Bailey for double charging for burials. Details here. Vincent Van Gogh lived in Brixton for about a year, and possibly attended the church. Electric lighting was introduced to the church, making it the first established place of worship to have electric lighting in Britain. A stained glass window was installed in the eastern side of the building and remains there today, although it is now hidden from public view. After an astonishing 42 years as vicar, the Rev Nathaniel Arthur Garland became ill and retired. He was succeeded by Rev Dr William Douglas Springett. The Rev Dr Willam Springett was succeeded by Rev Arthur Waldren who become the fifth vicar of St Matthew’s. Rev Arthur Waldren was succeeded by Rev Arthur Reginald Kemble Wells. The Rev Arthur Wells was succeeded by the Rev Leslie George Mannering to become the seventh vicar of St Matthew’s. The Rev Leslie Mannering wanted to help his congregation, in his words, ‘to get a move on spiritually’. He began to offer a monthly leaflet of daily Bible readings, coupled with a midweek discussion group and the encouragement to pray for the parish. This so transformed the spiritual life of St Matthew’s Church that before long other churches were asking for copies of the leaflets for their own congregations. He began to publish his readings. Parts of the crypt were altered and improved to allow for wider use. Electric lighting was installed in the church from the same circuit as Electric Avenue, making it the first church in the country to have electric lighting. A stone tablet was dedicated to the memory of Brigader General Cuthbert Edward Goldburn and placed on the East wall. The building was listed for its special architectural or historic interest. Details here. The council at first objected to the conditions, stating that the other Waterloo Churches had given up their churchyards without similar provision, but eventually agreed to their inclusion. The southern part of the peace garden was given to Lambeth Council with the same conditions attached, and also rights of passage for the vicar and persons authorised by him. Church land to the south of the church was sold to the Council for £50, to allow for the realignment of St Matthew’s Road. 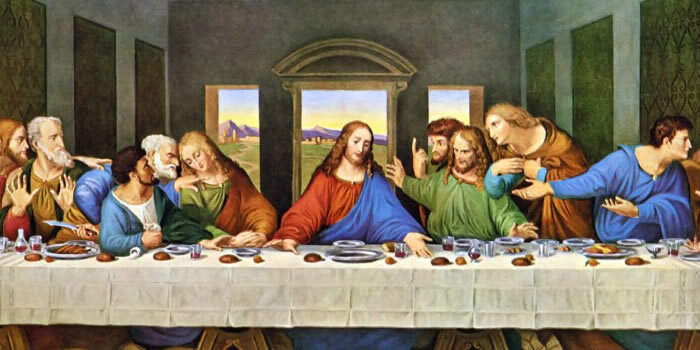 A copy of Leanardo Da Vinci’s ‘Last Supper’ which was displayed behind the altar was vandalised. The vicar at the time, the Rev Norman Hill, was reported to be furious. “We asked the council to take over the grounds to allow people the opportunity to use them, but it seems we did the wrong thing”, he further surprised his congregation that same year by announcing that the church was too large and should be pulled down. “It seems quite wrong that a comparatively small number of dedicated people should have the responsibility of maintaining this large building”, he said. John Major and Norma Johnson were married in the church. Listed building consent and DAC approval was obtained for large scale internal alterations. Work started to convert part of the building to public community meeting space. The building was managed by a new charity. The trustees of the new charity were Rev Bob Nind (vicar), Clyde Mayers, Rev Canon Charles Finder, George Greaves, Antony Rampton, Maurice Styles, Cllr Anthony Bays, Cllr Elizabeth Parcq, Cllr David Stimpson, Alan Piper, Astel Parkinson, and Edward Critchlow. New railings were erected around the Peace Garden to replace the concrete posts and fence which had served as a temporary measure after the original railings had been removed during the 1940s to ‘aid the war effort’. Planning permission was given for the grass and plants in front of the church to be removed to allow for more car parking space. 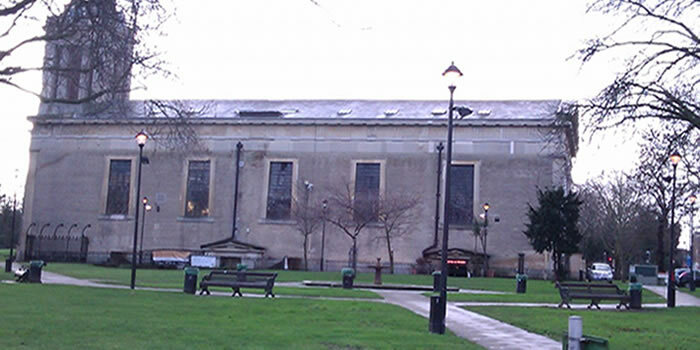 A report was prepared proposing the demolition of the church. The charity managing the building collapsed. Alterations were made to allow part of the western part of the building to be used exclusively as a church again. Phillip Whitbourn of English Heritage wrote concerning listed building status “Inside the building was greatly changed in the 1970s, and for that reason I would hesitate to put it into the top category that it would once have clearly deserved”. A new heating system was installed in the Church. The PCC set up a new charity ‘The Brix at St Matthew’s’ to manage the building. Articles and Memorandum of Association and Annual Report 2012. Annual Report 2013. 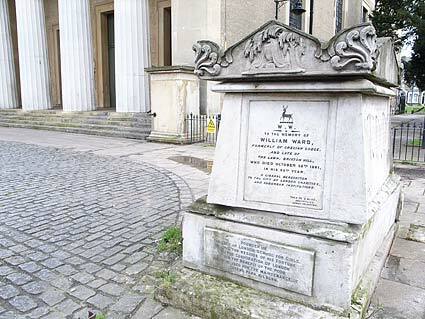 The tomb of William Ward, in the Churchyard of St Matthew’s, on the south side of what is now a car park, was restored as part of the celebration of the centenary of the City of London School for Girls. Picture here. remembered by a water trough that used to be at the top of Brixton Hill but is now on Streatham Common. He died in 1881. The restoration of the tomb was funded by the Corporation with financial contributions from some members of the current generations of the Ward family. The restoration was marked by a service at St Matthews on 18th September 1994. In recent years the tomb has again fallen into disrepair and is currently boarded up. The nearby St Jude’s Church closed, and the two parishes were merged to form the Parish of St Matthew with St Jude. The enlarged parish includes St Jude’s Primary School in Herne Hill. For details of the current parish boundary, see here . The PCC decided to wind-up ‘The Brix at St Matthew’s’ and resume management of the whole building, see here. To this day the congregation continue to worship in St Matthew’s using the space at the west of the building. Copyright © 2019 St Matthew’s Brixton All Rights Reserved.